Kolkata : Sikkim has become India’s first fully organic state by converting around 75,000 hectares of agricultural land into sustainable cultivation. Organic farming has gained relevance all over the globe because of its good effects on human body and its immense potential of saving the human species from ill-effects of chemical impregnation into human cells and tissues. 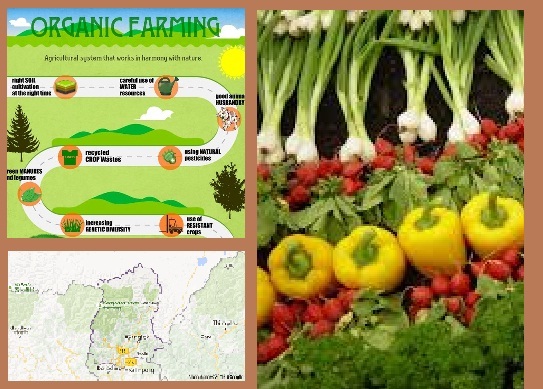 Sikkim has been able to achieve the commendable ‘Organic state’ target as the state has shifted to fully organic means of produce and cultivation. Sikkim Organic Mission’s Executive Director (ED) Dr Anbalagan said — We have achieved fully-organic status in the end of December. Prime Minister Narendra Modi will formally announce this at a sustainable agriculture conference in Gangtok on January 18. The ED added that around 75,000 hectares of agricultural land was gradually converted to certified organic land by implementing organic practices and principles as per guidelines laid down in National Programme for Organic Production. A step taken long back, it was 12 years ago in 2003 when the Pawan Chamling-led government decided to make Sikkim an organic farming state. This move was tabled through a declaration in the legislative assembly. Thereafter, to give strength to the decision, entry of chemical inputs for farmland was restricted and their sale got banned in the region. This strengthened the urgency of shift and farmers therefore had no option but to go organic. The benefits of organic farming are manifold, not only to the particular species of human beings, but also the the overall environment and ecosystem at large, including other inhabitats like animals, plants and the entire bio-diversity. Organic cultivation is free of chemical pesticides and chemical fertilisers as it tries to strike a harmonious balance with a complex series of ecosystems. If imbibed and embeded successfully in its entirety, in the long term, organic farming leads in subsistence of agriculture, bio-diversity conservation and environmental protection, as expressed by eminent agriculturists and R and D persons in the field. Sustainable organic farming in Sikkim is also helping in building the soil health resulting in sustainable increased crop production. Additionally, it is giving a big fillip and boosting the tourism industry in the tiny landlocked Himalayan state. Its impact is such that Resorts have already been marketing themselves as completely organic where tourists can pluck, cook and relish fresh organic food from their kitchen gardens.